How Do You Choose Good Tires for a Honda Accord? A good way to find tires for your Honda Accord is to call your dealer or local Honda mechanic and ask them for a recommendation. You can also go online to tire retailers such as Michelin, Firestone and Goodyear and browse their selection of tires that fit your car. When choosing tires for your Honda Accord, you need to keep in mind the year and style of your car, the type of terrain and weather conditions in your area, and the price range that you are looking for. The Frequently Asked Questions section of the Honda website answers a few basic questions about tires, as does owners.honda.com. Websites such as goodyear.com and michelinman.com have guides that can take you step-by-step through the process of choosing tires. You can input information about your car to generate a list of tires that fit. From there, the website tells you what tires are best for your needs. The Goodyear website has features that allow you to filter your choices based on weather conditions, fuel efficiency, speed and load. 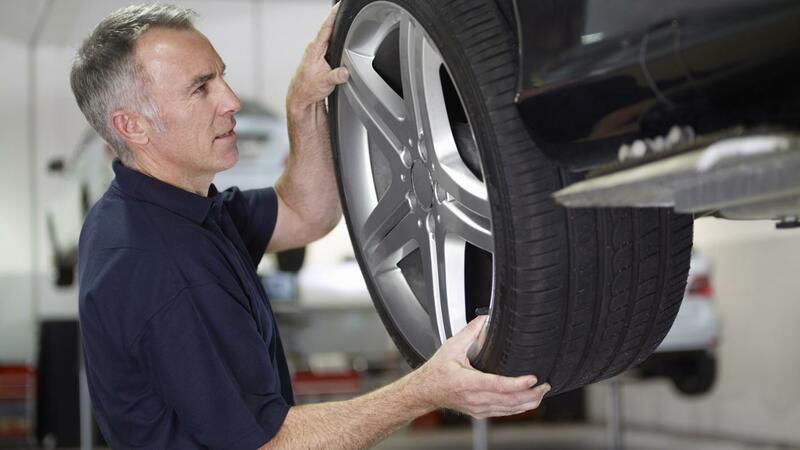 Once your tires are installed, it is important to remember to check your tire pressure regularly and have your tires rotated by your mechanic every 5,000 to 8,000 miles. What Is the Best Repair Manual for a 2008 Honda Accord? Should You Buy Used Tires for Sale by Owner or for Sale by Dealer? Where Can Someone Find the Proper Replacement Battery Size for a Honda Accord?